I figured it was about time for me to end my Irish shenanigans and move on to different foods. Over the summer, my boyfriend and I went to Budapest – an amazing city which we both loooveedddd (maybe more than Dublin?). Anyhow, we had an incredible goulash at this restaurant called Klassz and I basically tried to relive that experience with this recipe. I started by browning the bacon and meat – I chose beef, though I was very tempted to try lamb. After browning, I set aside my meat and started cooking everything else. 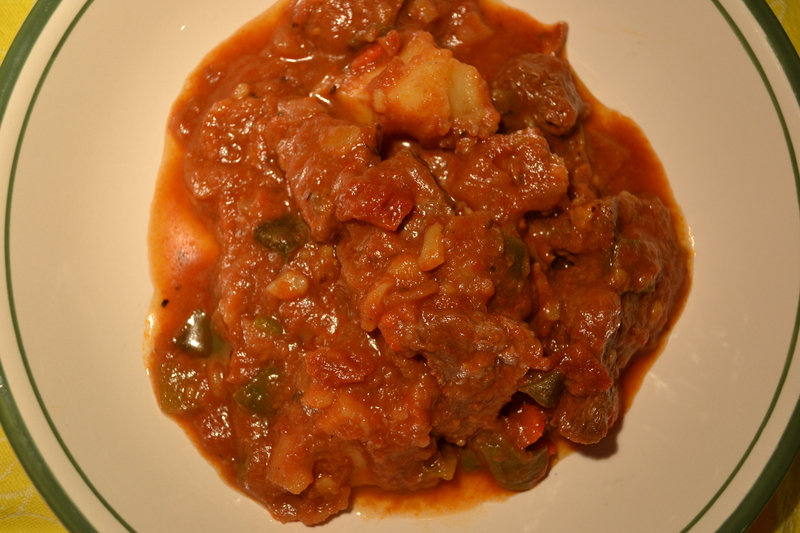 Then I added back my meat and let the gou simmer for hours – about 4 in total plus a little extra heating the next day. By the way, the best wait to tell if the gou is ready is to test a piece of meat with a fork. You don’t have to eat it, just check if the meat tears easily with a fork. Also, sweet paprika may be hard to find, but you need it so find it. I found the recipe here, but I changed it just a little. 1) In a large cast iron or thick-bottom pan, fry the bacon over high heat until light golden brown. Some of the fat has been rendered. Remove the bacon. 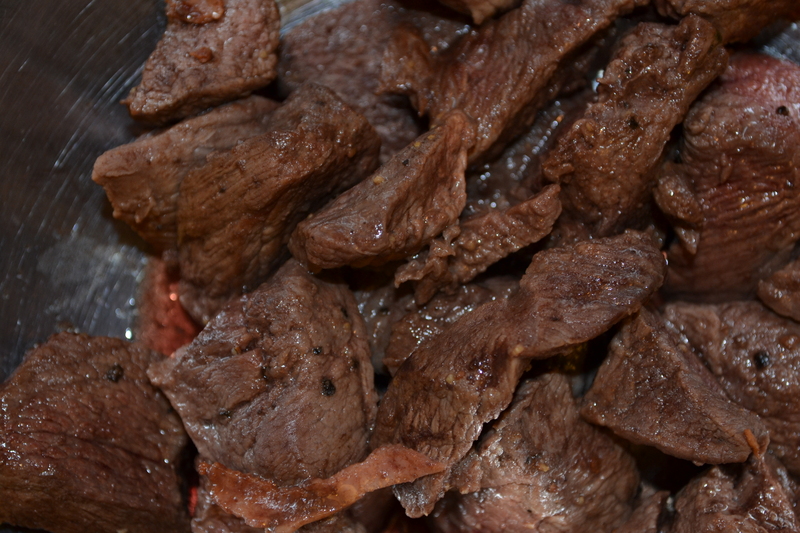 2) In the same pan, fry the diced beef that has been seasoned with salt and pepper. Continue frying until the meat has a light golden brown colour, then remove from the pan. 3) Turn down the heat, add the onion and garlic, and sauté gently for 4 – 6 minutes. 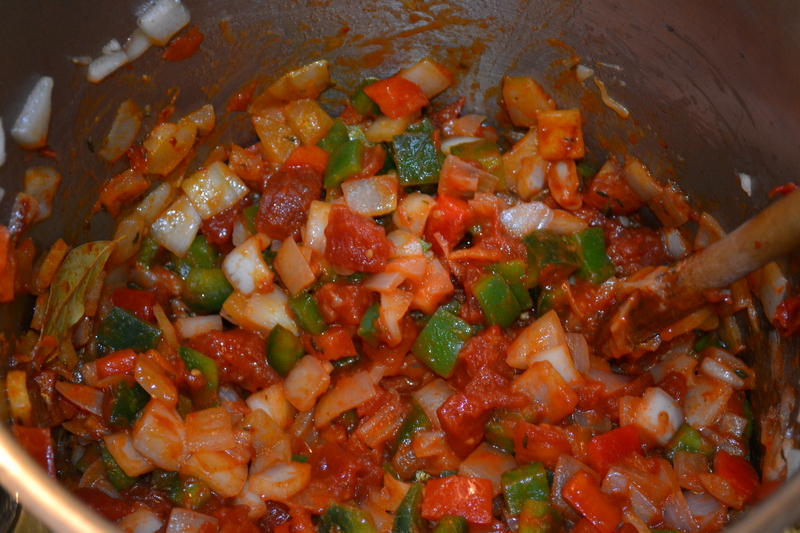 4) Next, add the bay leaf, thyme, caraway seeds, green peppers and paprika, followed by the tomato and tomato puree. 5) Return the beef and bacon to the pan. Add the beef broth and water, and gently simmer on the stove top for approximately 2 hours or more – depending how close your meat is to being tender. 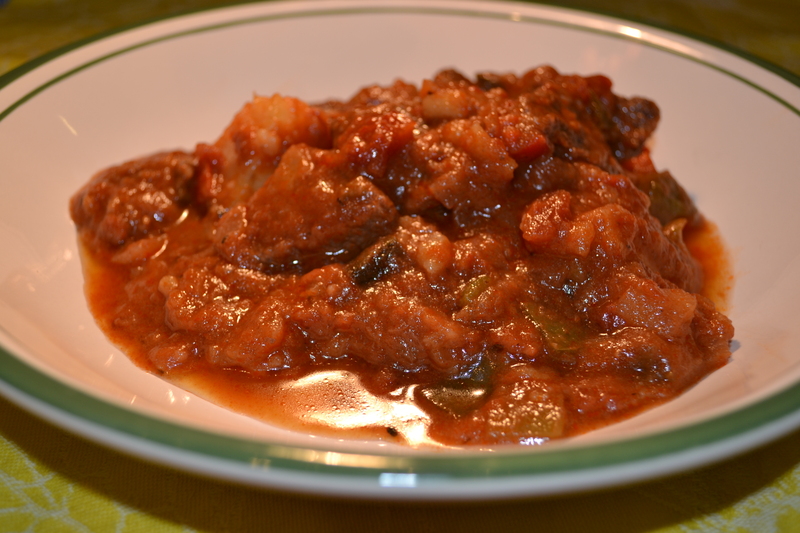 6) During the last 30 minutes of cooking, add the diced potatoes. Check the seasoning and adjust accordingly. 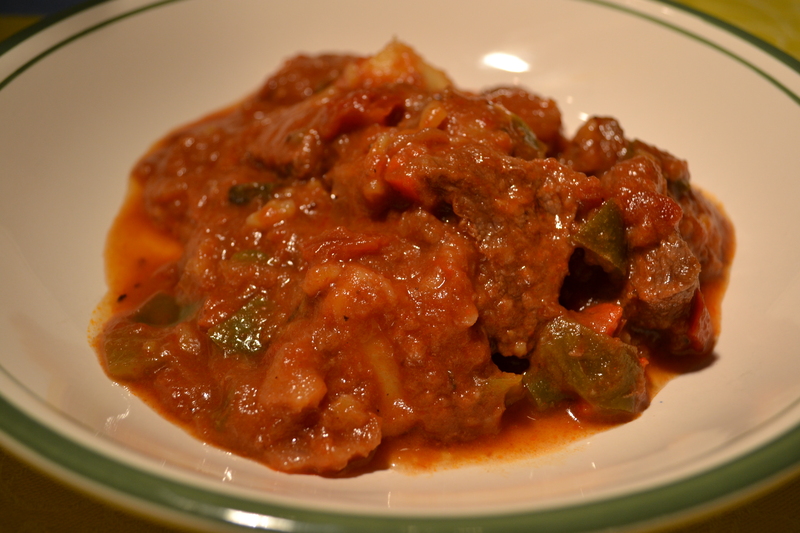 The meat should be tender and moist, and the sauce slightly thickened. 7) Once cooked, remove from heat and remove the bay leaf. Try serving with a dollop of sour cream – delicious! Let me know how the gou tastes.